Formerly the George Wise Home, the house was moved to it’s current location and opened as The Milwaukie Museum in 1975. Located in the historic George Wise House, which was moved to the present location in 1973 under the guidance of Society President and acting curator Christa McDonald, with the help of the community, has a long history. The house was built in 1865 by George Wise for his wife Sara Tong and over time, their 10 children. The home was located on the farm that George purchased in 1858 next to what is now Lake Road and on the property now housing Unified Grocers [United Grocers]. The house was donated to the society due to the need to develop the property where it sat. The house was in a sad state and was scheduled for demolition. That is when Christa McDonald arrived to rally the community to save and move the house to the present location. In 1937 the Milwaukie Historical Society was formed to record and preserve the history of Milwaukie Oregon and the surrounding area. The society hosted potluck dinners, Historical talks, exhibits of historical artifacts and other social events. In the 1950’s the society numbered around 100 Members. At Present the society’s home is located in the rebuilt George Wise house located at 37th and Adams St in Milwaukie Oregon. The society operates the Milwaukie Museum, The home of the collection of history of Milwaukie and the surrounding area of North Clackamas County. The museum is operates on donations to the museum and membership in the Milwaukie Historical Society. The Milwaukie Museum’s present day mission is “Preserve Milwaukie’s History for Future Generations” This mission involves Acquiring, Preservation and Exhibition of the history of Milwaukie Oregon, the Museum is home to many historical items including, Old #3 horse drawn street car, the Clair Kuppenbender Research Library, Indian artifacts, Lewelling Cherry Tree, and items that traveled over the Oregon Trail. 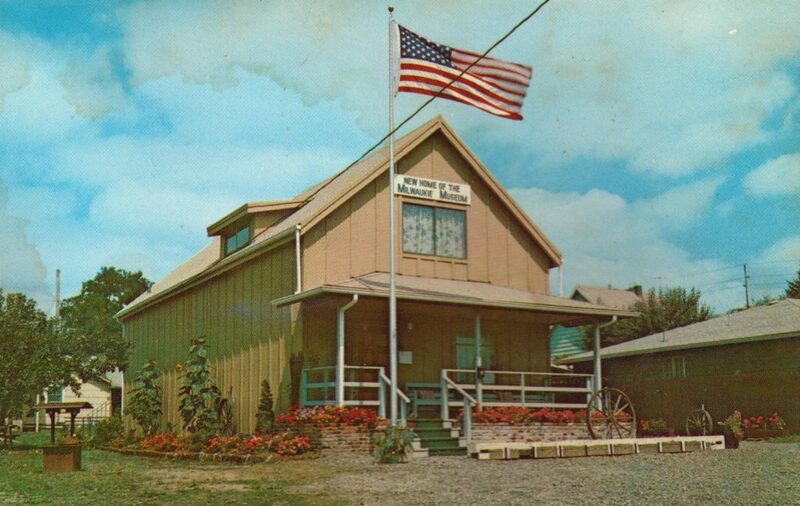 The Milwaukie Museum is open on Saturdays from 1Pm to 5 Pm. Special arrangements can be made by contacting the society. Check out the Milwaukie Heritage Youtube page. These “Milwaukie Yesterday Today” videos feature historically valuable interviews and information hosted by Carolyn Tomei. Milwaukie Heritage Watch them all HERE!